Can you use an electronic drum set for a church service? The answer is, yes, of course. Electronic drums are improving everyday as technology advances. Today, electronic drums have great sounds, and it makes them sound almost like a traditional drum set. However, this does not mean electronic drums are the best option for all church services. The answer to this question is also based on personal opinion and preference. 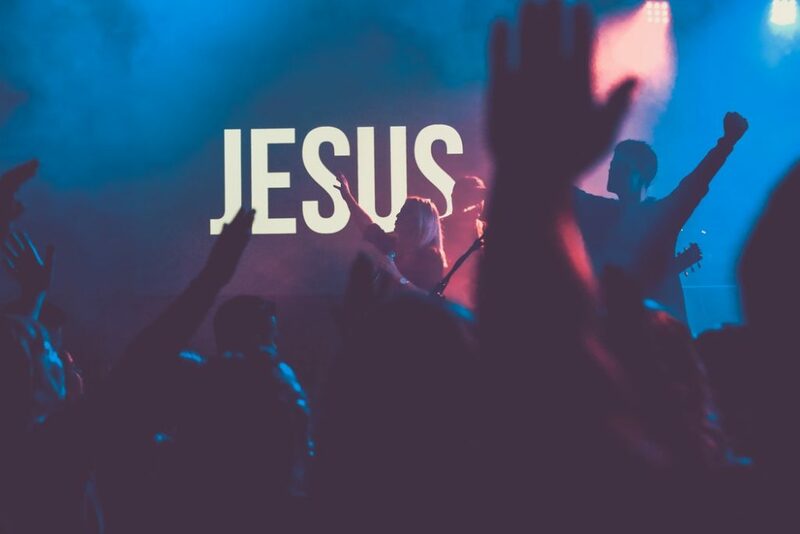 Figuring out if an acoustic drum set, also known as a traditional drum set or an electronic drum set is best for your church is a difficult decision. There are continuous debates between acoustic drums and electronic drums. I believe the real answer to this question is based on many other factors with your church. 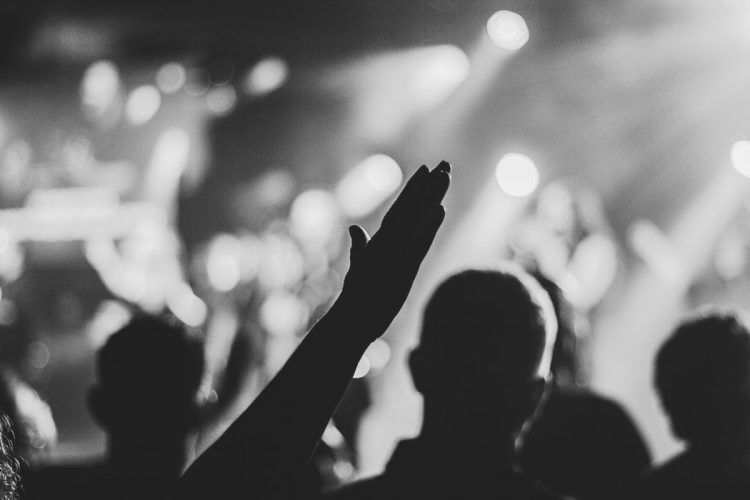 One of these factors may be the type of church you have, large or small, and if it is a permanent or portable church. At the church I attend we rent out the church space and time, so we use an electronic drum set or even a cajon for our worship. Budget is also another factor that should be considered. Finally, the drummer and their skill level are the last thing you might want to consider. No one is going to argue that a traditional drum set doesn’t sound better than an electronic drum set, or that you get a better feel and touch with the acoustic set. With the traditional drum, you can play soft to very loud beats. Traditional drums are more sensitive and the level of dynamics and different sounds that can be created from the drums and cymbals themselves is far superior and more realistic to those of an electric drum kit. There is something about the traditional drums that can never be fully replicated by the electronic drum and I think that is why the acoustic drums will never go extinct. However, electronic drums have come a long way from when they were first created, the sound, feel, and touch is constantly improving. Sound is very important when choosing any drum set, so getting a good quality acoustic or electronic drum set for worship is important. Sound may be important, but being able to control the volume level is also important. One of the greatest benefits that an electronic drum set has to offer is its ability to control the noise level on the drum. The noise control option allows the drummer to play at their normal strength and speed without having the music too loud for the congregation. There are also mesh drum head electronic drum kits that can better control the noise level. There are also other ways to dampen the sound of an acoustic drum set. The most common way that most people have seen are the drum shields around the drum set. Most drum shields reflect the sound coming from the drums, but if there is a wall behind the drum set, it can bounce back to the congregation, which is why they are perfect. The better the drum shield the more sound you can reflect. Controlling the volume in a small church can be expensive, so maybe just investing in an electronic drum would be the better option. A very skilled drummer also has the ability to control the volume level on an acoustic drum set. Grace First Presbyterian Church uses a Roland V-Drum because volume control is the most important to them. Another thing you need to consider is your worship drummer. Playing an electronic drum set is not exactly the same as a traditional drum set. You need to make sure your drummer is open to playing an electronic drum set because it is not the same. If they have never played an electronic drum, it might take some time for them to get used to playing one depending on the drum kit you purchase. Electronic drums are easier to play than an acoustic drum, so an amatuer drummer might prefer an electronic drum set. An electronic drum is more forgiving and harder to mishit than the traditional drum. 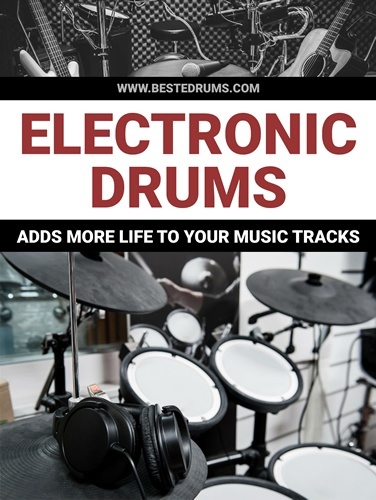 Best E-Drums has advice on how electronic drums work and tips on how to play them. They also have great reviews on electronic drum sets to help you look for the best drum set. Electronic drum kits are great for small churches and portable churches. The portability of an electronic drum sets is a tremendous advantage. Traditional drums are usually bulky and not easily transportable, while most electronic drum sets are compact and lightweight. For large churches this is not a problem, but for smaller churches stage space can be an issue. Electronic drum sets are convenient in limited space spots. For churches that aren’t permanent, the worship team needs to set up and take down the drum kit every week. This is what we have to do at my church, which is why I think they went with an electronic drum set. Electronic drums also take up a lot less space and can be stored away very easily when not in use. When you decide on the drum set for your church, make sure you think about all of the factors. Any church can make either an acoustic drum set or electronic drum set work for their worship service. I would just advise that when picking any drum set, you get a quality set. Also check out these website/blogs about how to choose the drum set for your church. 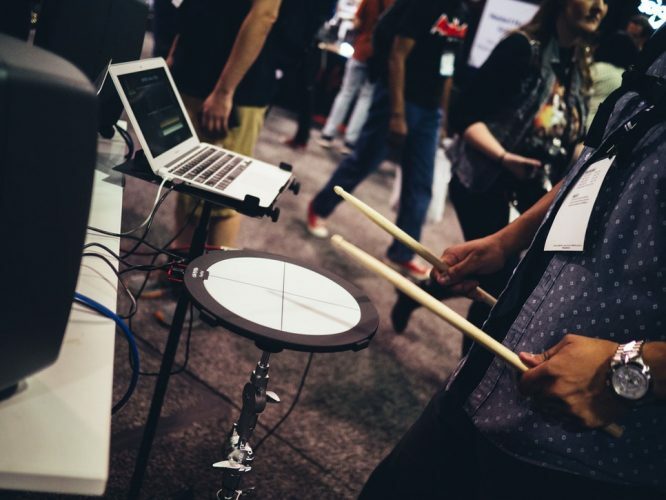 Should your church use electronic or acoustic drums?